We are having a serious problem in New England with the performance of the models used in fishery management. 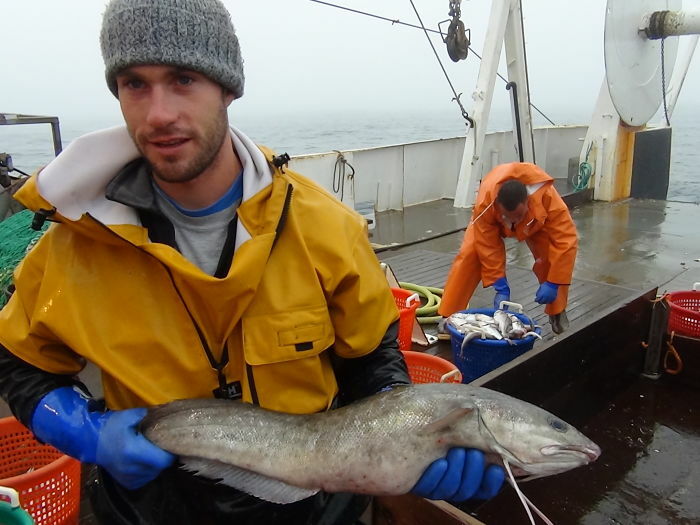 To remedy a situation that, along with some other factors, has led to the current crisis in the groundfish industry, we need new data and maybe we need new models. All the researchers will tell you that the existing models have trouble performing well when fish stocks, such as Gulf of Maine cod, Georges Bank cod and Georges Bank yellowtail are low. With healthy stocks a certain amount of scientific uncertainty can be factored in as a buffer. But with low abundance the margin for error is very thin, and fishermen and their families pay the price. When catch limits are cut, a small variation can mean the difference between an independent fisherman remaining on the water or being forced out of business. Getting better data is a theme familiar to anyone with connections to the fishing industry in New England. It is central to the mission at the Center for Sustainable Fisheries and was the focus of the forum CSF sponsored at the New Bedford Whaling Museum in May. To obtain some idea of the enforced reduction in fishing effort, CSF board member Mark Phillips, who owns and operates the dragger Illusion out of New Bedford, reported that his sector, Sector 11, has 54 fishing permits and owns the fleet’s highest allocation of yellowtail. Yet, because of regulatory constraints, one boat goes out in April, prior to the end of the fishing year, and catches all of the TAC (Total Allowable Catch) for Sector 11 in a single trip. Phillips recalled a time there would be as many as forty groundfish boats working the southern edge of Georges Bank and today he sees one. The sand dab AM (Accountability Measure) has doubled the size of Closed Area 2, he said, restricting yellowtail boats, such as his, to a sliver of Georges Bank just three miles long by ten to twelve miles wide, in which to fish this year. In his presentation SMAST scientist Steve Cadrin explained the two principal methods employed for determining flatfish stocks – an index-based assessment, which uses survey data directly for stock assessment, and an aged-based assessment in which the survey data has a role and the fishery data (such as landings etc.) also plays a role. But with fishing severely restricted and landings down, reliance on the survey data for the assessment is almost total. 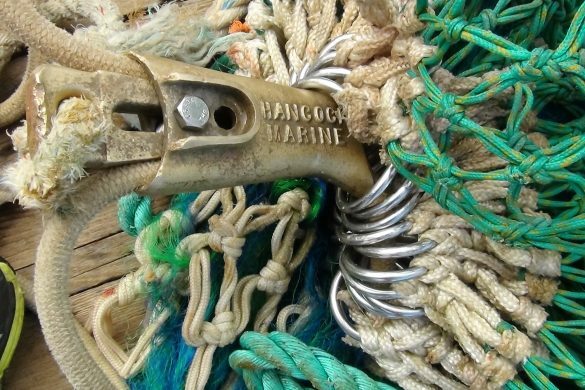 An index-based survey takes the total catch, which includes both landings and discards, and divides it by the recent survey average to determine fishing mortality. Catch limits are then determined by using the average survey biomass times the target exploitation rate. But there is little consensus. Fishermen believe there are a lot more yellowtail out there than NOAA’s recent index-based assessment of Georges Bank shows and independent estimates of stock size support that view. A tagging study, a dredge survey, and the Science Center’s own industry-based flatfish survey produced estimates far greater than the model, in Closed Area 2 and in open areas adjacent to the access area. There may not be any independent fishermen in New England, the birthplace of the American fishing industry, five years from now. 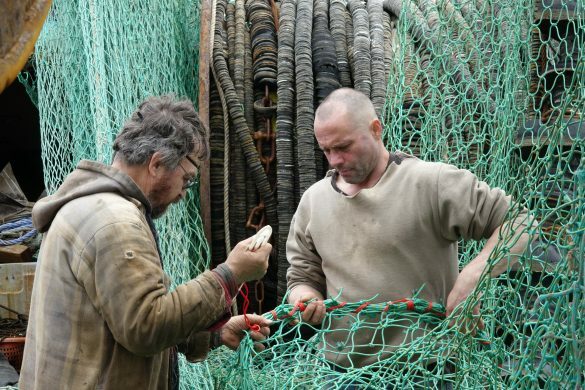 The situation demands more immediate action if these fishermen are to survive. According to Cadrin, there are alternatives, such as using an area-swept approach as a ‘snapshot study’ to show where the assessment has gone wrong. NOAA’S use of an industry-based survey in the spring of 2014 is a positive step for fisheries science. It has become clear that established methods are not producing the desired results. The three government surveys used for Georges bank yellowtail, (the Canadian Department of Fisheries and Oceans and the US spring and fall surveys) all yielded very different estimates of biomass and the ACE (Annual Catch Entitlement) is at a rock bottom low of 354 tons. It was 4000 tons in the 1980’s. The yellowtail bycatch issue is also of serious concern to the scallop industry with the potential to close access to favored fishing grounds. In addition to concern over flaws in the models used for management, there have been serious doubts expressed about the reliability of the data collected by the Bigelow, the research vessel used for the NOAA survey. Concerns raised by fishermen and gear designers include too few stations sampled, doubts about the speed and duration of the survey tows, and questions about insufficient and inconsistent bottom contact while towing the gear. Thin sampling of the fishing grounds during the spring and fall surveys can lead to situations such as the 2008 assessment of cod in the Gulf of Maine when a couple of big tows unduly influenced estimates of the biomass, then declared to be 33,877 metric tons. Yet a revision of that same data in 2011 concluded the figure was actually 10,778 metric tons, a huge difference that sparked the beginning of the current crisis. Northeast Fisheries Science Center director Bill Karp who attended the CSF meeting as an observer agreed with the need to better engage industry and academic partners in the way that NOAA collects data. “We need to integrate your ideas into the way that we do stock assessment,” he said. However, as Vito Giacalone of the Northeast Seafood Coalition pointed out, while designing stock specific surveys is important, how they will be used in the assessment is critical. When new data comes forward will it be incorporated to correct the model without waiting until the last New England fisherman has turned his back on the sea?